Radiation Protection Dosimetry, 106(4); 2003. Weak Electric Field Effects in the Body. Proceedings of an International Workshop, NRPB, Chilton, UK, March 24-25, 2003. McKinlay AF, Repacholi MH, eds. 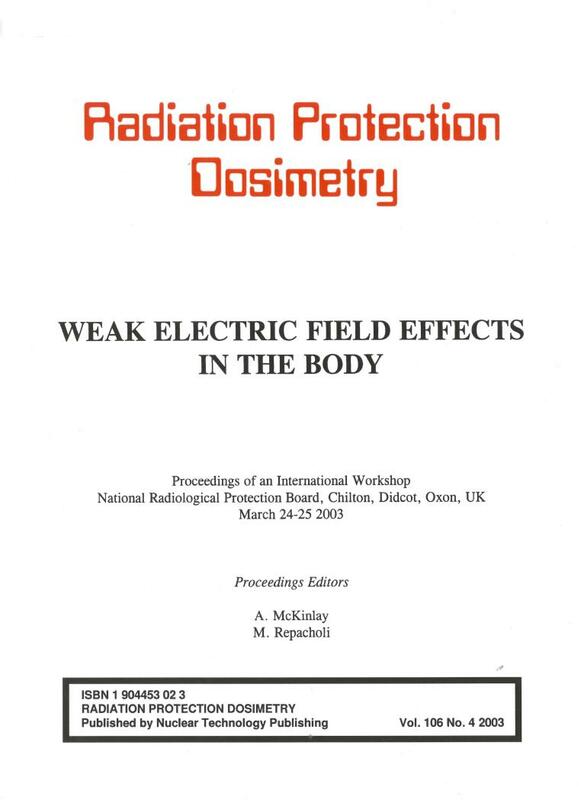 Nuclear Technology Publishing, Radiation Protection Dosimetry, 106(4); 2003. The proceedings propose papers summarizing the lectures given at the workshop, which was jointly organized by the National Radiological Protection Board, the World Health Organization and the International Commission on Non-Ionizing Radiation Protection.